AUBURN, Maine — Gov. Paul LePage took a different approach Thursday to the problem of local regulations being stricter than the state’s when it comes to businesses being able to function in Maine’s communities. 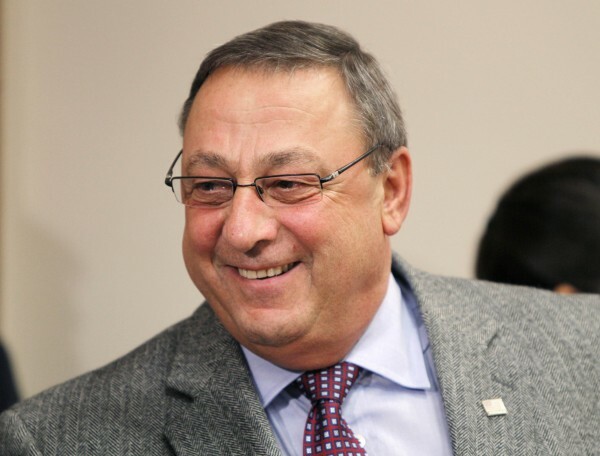 “Speaking of state regulations, what I heard was the attitude coming out of Augusta is getting better, but now the attitude at the local level is taking over,” said LePage at the end of the Thursday morning session of his third and final jobs creation workshop. It’s an issue that had come up before, at the second jobs workshop held last month in Bangor. At the time, the governor said he had heard from a number of businesses complaining that local regulations were too onerous. LePage said then that he would like to see state regulations no stricter than federal, and to have local regulations no stricter than either. He suggested at the time that he may submit a bill allowing the state to cut back on revenues to communities that don’t adjust their regulations to match the state’s. On Thursday, the governor took a slightly different tact. A DECD official said the idea is a fairly new one, with details yet to be worked out. LePage also called on the business community to be more proactive in contacting his office and the Legislature on issues. “The business community has done a very poor job in getting in touch with us … we’ve had to come out to you,” he said. “You need to contact the people in Augusta, your legislators, your senators, my office,” said LePage. Over the three jobs sessions, held in Auburn, Bangor and South Portland, hundreds of businesspeople invited by the LePage administration had direct contact with a number of high-level commissioners and department officials. They also participated in group discussions with the governor that were closed to the media. Repeatedly, several key issues important to businesses percolated out — the rising cost of health care, the continuing challenge of navigating regulations and, in particular, the challenge of finding skilled employees in a variety of fields. On Thursday, Ken Johnson of CNC Systems in Kennebunk said he’s trying to sell machining equipment into shops throughout New England, and he’s hearing the same story everywhere. “People are telling me, I’d buy a machine today if I had someone to run it,” said Johnson. Most shops have steady work, and are looking to hire, he said, but can’t find people to fill those positions. Part of the problem is that many think the decline of manufacturing in the region is absolute — that there are no jobs and the sector is dead, said Johnson. “It isn’t — it’s alive and well,” he said. Nicole Desjardins, director of sales at Hampton Inn in Waterville, said she sees job applicants who lack basic skills, such as how to develop a resume or interview for an open position. “He’s listening. He gets it,” she said. That was a common sentiment among businesspeople at the session. Conrad Davis of Davis Landscape in Lisbon said he got the impression that state government had come down to the business person’s level. “We’re the customer,” he said. “Whether it’s executed remains to be seen, but the intent seems to be there,” she said. The group also heard from Michael Luciano, human resource manager at Verso Paper in Jay, who spoke about the need to grow a manufacturing work force. The average age of the workers at the Jay mill is 50, he said, and between 2015 and 2018, the facility will lose 45 percent of its 900-person work force to retirement. “We have to get the employees of the future, and we have to get them rapidly, educate them, train them ourselves,” said Luciano. Luciano said Verso is trying to attract that work force by offering tuition reimbursement — hiring students out of high school, and paying for their education as it continues. But Verso has to start trying to attract kids to the industry at younger ages, in the seventh grade, for instance, when they start studying science more intently. The mills may be a mystery to outsiders, he said, but inside, there are robots, “Star Wars panels to control power plants,” and other cutting edge equipment and jobs. “This is a high-tech industry — and you folks have those industries out there, too,” he said. One of the things that is key is that business establish a level of trust with students, schools and parents, he said. “We have to make sure they trust us that the industry is here to stay, that the state of Maine is one of the greatest places to live,” said Luciano.